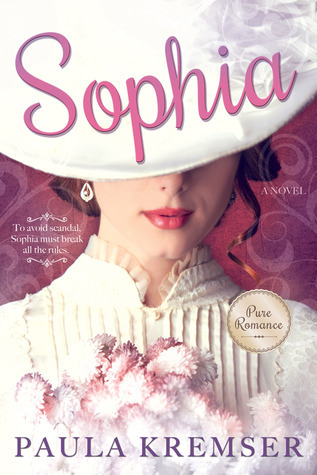 Sophia is a book that will have you sighing at the end. It is a short and clean look at the time when how much money you had meant everything how easily gossip could spread and when you found out you were not within propriety. Sophia is the daughter of a country doctor. Her mother and sister died in childbirth. Sophia was raised with proper education and was a very naïve and forgiving girl. Her mother’s sister was selfish and spent whatever money to get where she could in society. Her grandmother knew this and gave her estate to Sophia upon passing. Sophia was shocked. She was so shocked that when the lawyer came to tell her about it, she didn’t hear half of what he said and she was to sign papers in London when she could. She was nineteen. She had never been in London. She wanted to go and spend a season in London. Her conniving aunt said she would sponsor her. Alex has had a horrible adult life. His father’s estate was in debt and Alex spent years trying to fix it. He made a mistake in once asking a girl to marry him. She had money and even though Alex did care for her everyone thought that he only wanted to marry her for her fortune. That ended in disaster and Alex was labeled as a fortune hunter. His only real friends left knew better. He was kind and honest. When Sophia gets to London, her aunt has her at every social event possible and has her buying everything even though she doesn’t need it. Sophia is tired but also doesn’t want to offend her aunt. Then comes a point where she just couldn’t stay awake anymore. Her aunt takes her to a “sitting room” so she could rest. Sophia falls into a deep sleep. When she wakes up, she is hearing a commotion around her. Apparently, the room was really Alex’s room and he had just gone in there and shut the door and realized she was in the room. He tried to wake her but she wasn’t moving. He tried to lift her to get her out of the room before they were seen together but it wasn’t fast enough. Now Sophia and Alex are expected to marry. Sophia doesn’t want to get married. Her aunt is berating her at every turn and telling her how it would ruin her honor and embarrass her aunt forever if she did not marry. Again, Sophia is sweet and even though she is realizing her aunt doesn’t really care for her, she agrees to marry him the next morning. She sees her idea of marrying for love go out the window. Alex doesn’t want to marry either, but he knows he has no choice. Sophia tries to talk to him outside the church alone to see if they could figure something out. But, Alex thinks they framed him on purpose and he yells at her. Sophia runs away. Alex finds her when she sends a letter his way. She is at a friend’s house. At the home, they agree to a fake engagement, so Sophia can figure out what to do and not ruin her or Alex’s reputation. But there are still some secrets kept. Sophia is too sweet and naïve to see them. But she does see how mean people are. And she finds herself enjoying her time with Alex. And Alex is enjoying his time with her and realizes Sophia didn’t have anything to do with putting herself in his room on purpose. That is as much as I can tell you. The story has you guessing at why was she in his room and so many other things. I found myself trying to figure out the riddle of why her aunt put her there. Sophia didn’t believe Alex cared for her either; she thought every time they spent time together that is was a ruse. Then when things start to turn out ok, the plot thickens. I will tell you that I did not see what happened after that coming! It blew me away and I felt sick to my stomach. This story is short but is well written, the characters are believable and the story is beautiful. I loved it! At the end there were questions to make you think more on the story. It had me thinking more about the story and some things I missed in reading it. I will definitely be looking for more from this author. If you like London’s ton society, short stories, horses, love found on your terms, propriety, clean reads, doing what you feel is right even though society disagrees then this book may be for you!